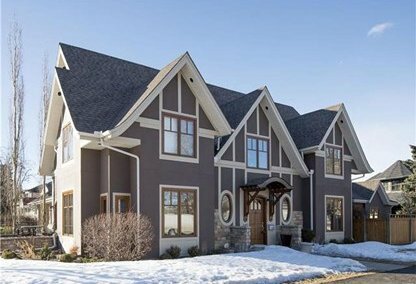 Browse today's newest Parkdale homes for sale in Calgary! The Parkdale community attracts professionals and young families. It includes area developments, one of the latest being Loren in Parkdale with two story apartment-style condos or loft penthouses. Discover the hottest Parkdale real estate for sale now! Schedule a guided home or condo tour with your Parkdale Calgary real estate agents today. Parkdale housing market statistics: As of April 25, 2019 there are currently 39 properties for sale in Parkdale listed as active, with an average asking price of $855,090. The highest-priced property is $2,199,900; the lowest priced property can be purchased for $349,900. Parkdale neighbourhood listings have an average price of $482 per square foot, based on listings with 3.4 bedrooms, 3.5 baths, and 1,752 square feet of living space. Thinking of selling or buying a home in Parkdale Calgary? Call Justin Havre at RE/MAX First - 403.217.0003. 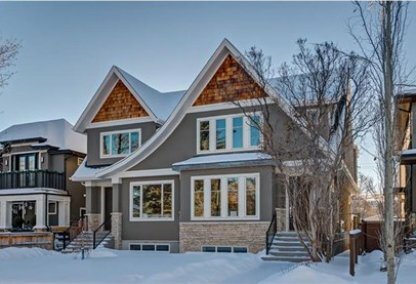 Our community of Parkdale real estate agents will help you navigate the Parkdale housing market in Calgary. Parkdale is made up of mainly single-family detached homes dating back to the 1940s, but the community is enjoying the recent development of townhouses and condos. Longtime residents mix with new home buyers attracted to the responsible growth of the area. Parkdale boundaries include Foothills Hospital Complex (North); Bow River (South); 28 Street (East) and 37 Street (West). The neighbourhood of Parkdale is also very close to downtown. Children's Hospital, University of Calgary, and Market Mall properties are close by. The Parkdale Community Association is very active within the neighbourhood, sponsoring many recreational and social events. They maintain a Neighbourhood Activity Centre, as well as a skating rink within their facilities. Parkdale Crescent is the centerpiece of the community, with many locally owned shops and eateries within. The Louise Riley Library services local readers, and the Parkdale Farmers Market helps bring together home owners as well. The community is home to Parkdale Elementary School. Planning to buy or sell a home in Parkdale Calgary? Let our real estate team guide you in your search for the perfect home and professionally facilitate the sale of your existing home. As Parkdale neighbourhood real estate agents, we know how to navigate the Parkdale real estate market. Let's get your home sold quickly and at the highest price! Contact Justin Havre at RE/MAX First - 403.217.0003 to find out more about buyer or seller representation. Thinking of selling your Parkdale home? Check out our free property evaluation tool, where you can easily view Calgary Homes Values online in moments!